Uakari Lodge floats in a tributary of the Amazon river, rising and falling dozens of feet seasonally with the water level. 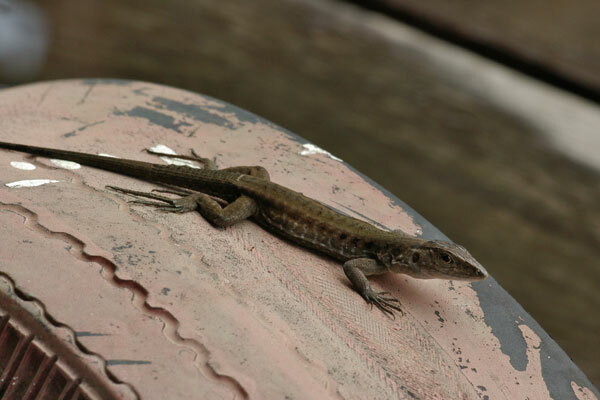 It's disconnected from the shore, so you might think that it would be a lizard-free environment. Fortunately, you'd be wrong. 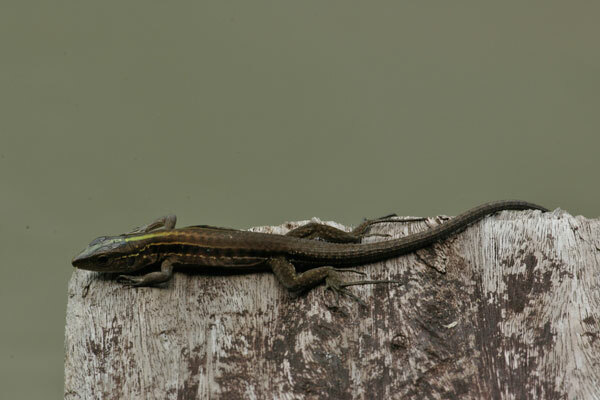 A colony of these whiptail lizards was living the good life on the wooden planks and potted plants of the lodge. 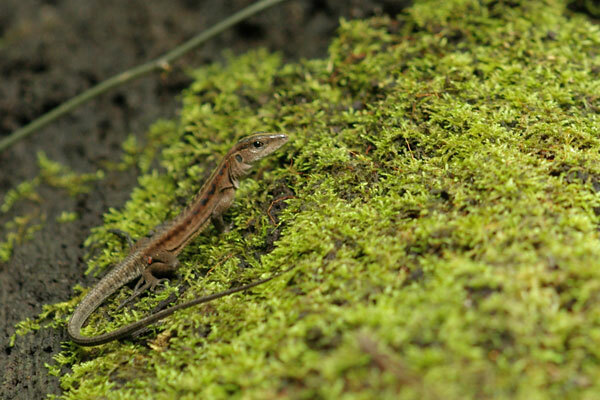 I had originally identified the whiptails I saw here as K. pelviceps. Many thanks to Dan Gallagher for explaining some of the subtle differences between Kentropyx species, and suggesting that the individuals I had photographed are probably all K. altamazonica. 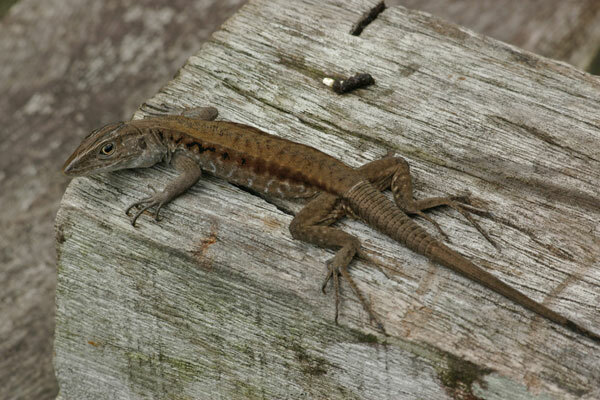 This was the only whiptail I saw in the actual forest, as opposed to on the grounds of the floating lodge. It's a young adult, not as large as the adults I saw on the floating lodge, but also not as small as the youngsters there. Speaking of the youngsters on the lodge, here's one from the next day, showing off its youthful colors.